So. 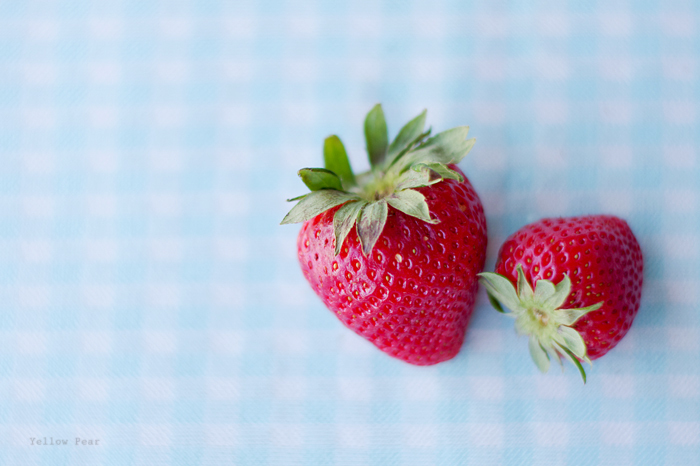 I was taking photos of strawberries. 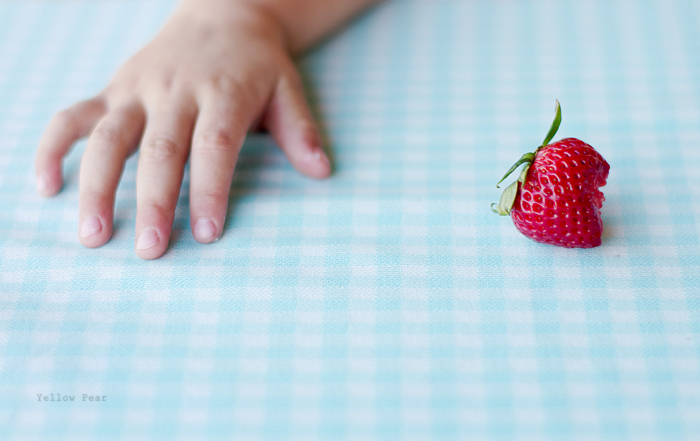 I had blue gingham spread out on the picnic table. 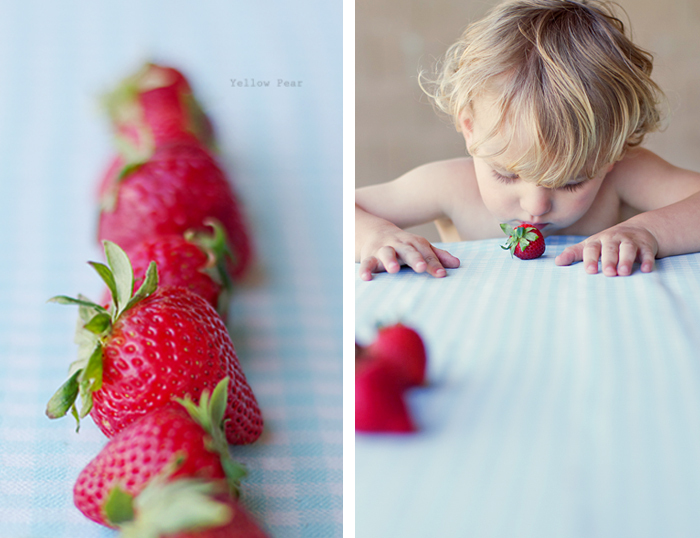 I was busy snapping away (I took so very many pictures of strawberries...who knew it would be so durn difficult), when my little friend came walking outside to see what was going on. 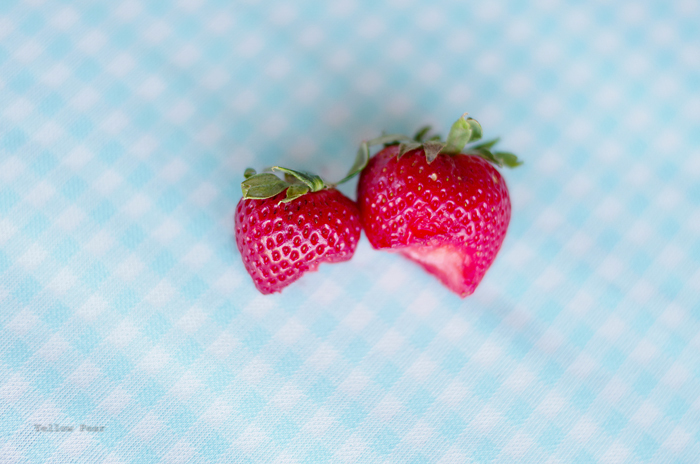 He took one glance at the strawberries, the table, the checked cloth and the picnic basket (in case I needed a prop) and yelled, "Yay, a picnic. I wanna eat a picnic!" 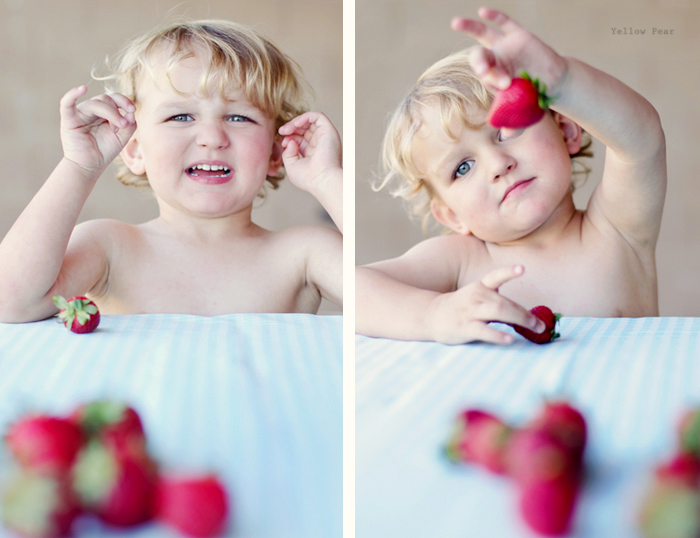 Which made me think that his cuteness and curls would be a fantastic prop for my spontaneous strawberry shoot. 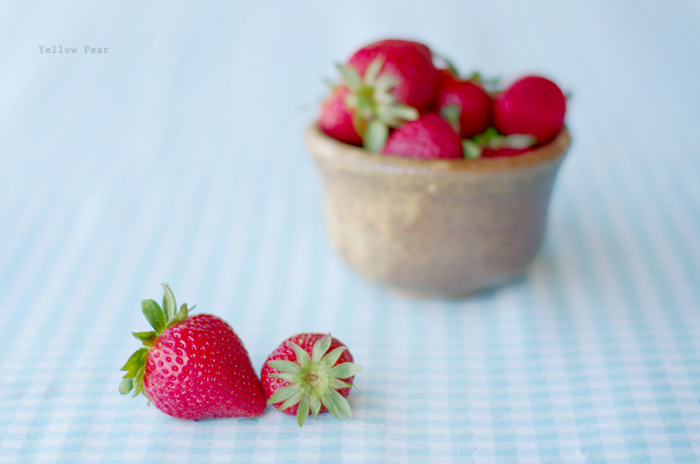 I love this time of year when strawberries are so cheap and I buy bunches and bunches and make freezer jam and have them on my cereal every morning and the kids munch on them and they are oh so tasty and pretty. I'm gonna start calling him Lany... he's like a tiny replica! YUM! Love the contrast of the colors! Such cute curls and chubby little hands! The gingham is an awesome backdrop - wish I could join you all in your picnic! I wanna eat a picnic too.